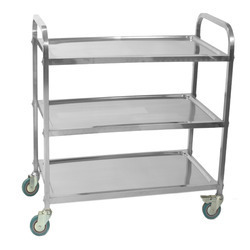 Backed by a team of creative and skilled designers, we are highly engaged in manufacturing an excellent range of Stainless Steel Trolley. 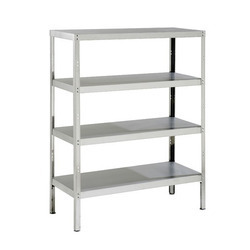 Under the strict supervision of our experienced professionals, we are offering an innovative collection of Stainless Steel Storage Racks. Leveraging upon our technologically-advanced production facility we provide super quality Canteen Tables. 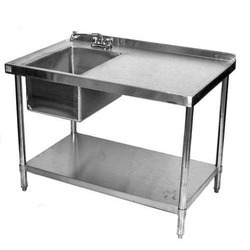 We are among the renowned names to manufacture and supply Stainless Steel Table made out of quality grade stainless steel. 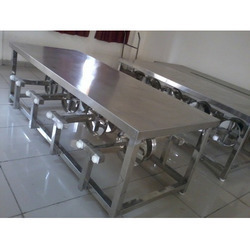 These tables are manufactured as per customized sizes and requirements of customers.